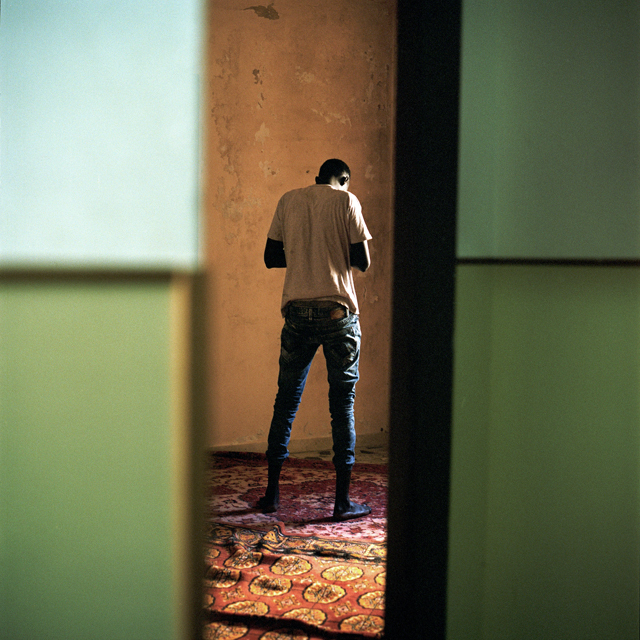 Daniel Castro Garcia is the recipient of the 2017 Grant in Humanistic Photography for his project, Foreigner: I Peri N’Tera — a Sicilian colloquialism that translates as “feet on the ground.” Selected from a talented group of 12 finalists, Foreigner is the second chapter of Garcia’s ongoing project on the migrant/refugee crisis in Europe, focusing on Sicily, Italy and capturing the lives of those who survived the long journey across the Sahara Desert and Mediterranean Sea. The project takes a hard look at unemployment, exploitative labor, and the difficult process of receiving documentation in a new land. The Smith Grant will allow Mr. Garcia to continue his project with subsequent chapters set to explore the psychological impact of these journeys and the struggles of integrating into new communities throughout Europe. 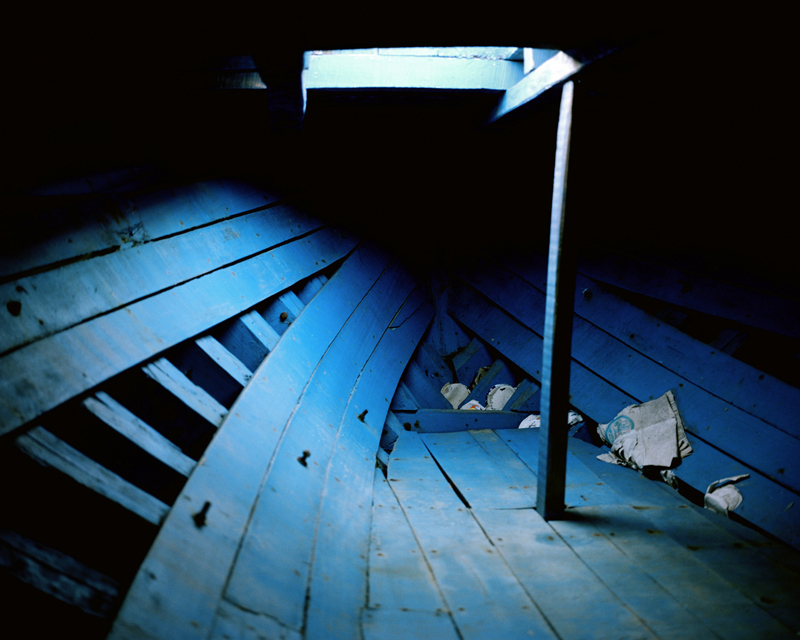 The hull of a migrant/refugee boat which now rests in a large boat graveyard in a secluded area of the island. Over one hundred people are often packed into the hull of these boats at great risk to themselves. These are the “cheap seats” and passengers face multiple risks such as hypothermia, asphyxiation from engine fumes and chemical burns from petrol mixing with seawater. 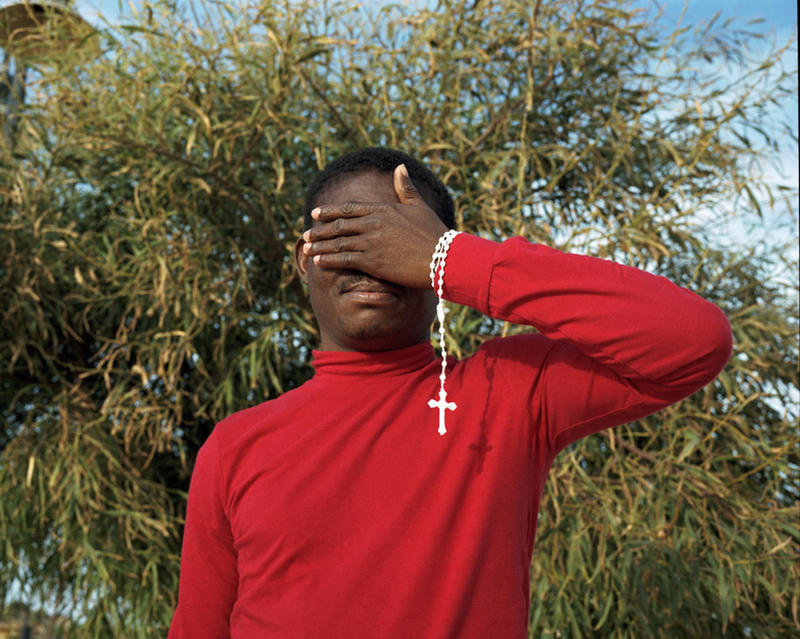 Somaro, 19, Bouba, 19, and Abdoul, 22, arrived on the island of Lampedusa one week prior to this image being taken. They experienced a particularly rough journey and all expressed their trauma of what was faced at sea. Usually vessels leave Libya in the “peak season” between May and September when seas are calmer, but in this case the traffickers forced them to take the journey. They had little information regarding their situation in Lampedusa and did not know when they would be transferred to mainland Italy. This was the first time most of the Zingale boys had visited the sea since their arrival to Sicily, Italy. For some, that was over a year ago. There are no activity programmes for the boys whilst at the centre and their days are governed by intense boredom. They all expressed that days like this were a great opportunity for them to be able to free their minds. Despite some apprehension at first, all of the boys relished being in the water and were hugging and laughing all day. Mr. Happy, from Nigeria, spoke of his delight to have been so warmly received by the Christian community in Lampedusa. At the church in the main square, volunteers hand out clothing and rosaries for anyone in need. A. from Gambia is an unaccompanied minor currently residing at the Zingale Aquino Reception Centre for Unaccompanied Minors. The centre is home to 12 sub-Saharan boys aged between 15 and 17 years of age. There is very little for them to do with no structure, education or activity programs. The building was originally used as housing for nuns and Roman Catholic memorabilia has a heavy presence in every room. 11 of the boys are Muslim and pray in a make shift mosque. Their faith serves as a means of strength and hope. Enoch, 16, from Eritrea, arrived at the Port of Catania two days prior to this photograph being taken. I found him sitting in a bus shelter with two other underage boys, next to an abandoned car park where I had photographed other Eritrean migrants in the summer of 2015. Eritrean migrants regularly refuse to give their fingerprints to Italian authorities upon arrival and prefer to sleep rough until they are sent money to catch buses to northern Italy and cross the border. Usually their hope is to enter the asylum process in France, Germany or Sweden. Aly left Senegal and spent three years travelling to Libya, washing dishes in Mali and Burkina Faso in order to earn the money to board one of the dangerous pick-up truck convoys and cross the Sahara Desert. He has lived in Catania for nearly five years and has only recently received a work permit. The breakthrough however does not relieve the difficulty of his situation. Finding employment as a young African man is extremely challenging in Sicily. He recently attended a trial shift at a restaurant and was dismissed before starting. The reason given to him was that he is black. Everyone knows Aly as “Gucci”, a slang term for “good” or “alright”, because of his positive attitude. He has not seen his family for over eight years. S. from Ivory Coast sits in the living room at the Aquino Zingale centre. This portrait of Mohammad Ali taken on the banks of the Tiber River, Rome. I first met him in June 2015 when he was living in the C.A.R.A. di Mineo Reception Centre in Sicily. He had a very difficult time there and decided to leave and try his luck elsewhere in Italy. Originally from Sierra Leone, he was separated from his family as a child and he experienced significant physical abuse during the civil war. He still suffers extreme pain from the consequences of his injuries and does not have any contact with his family.